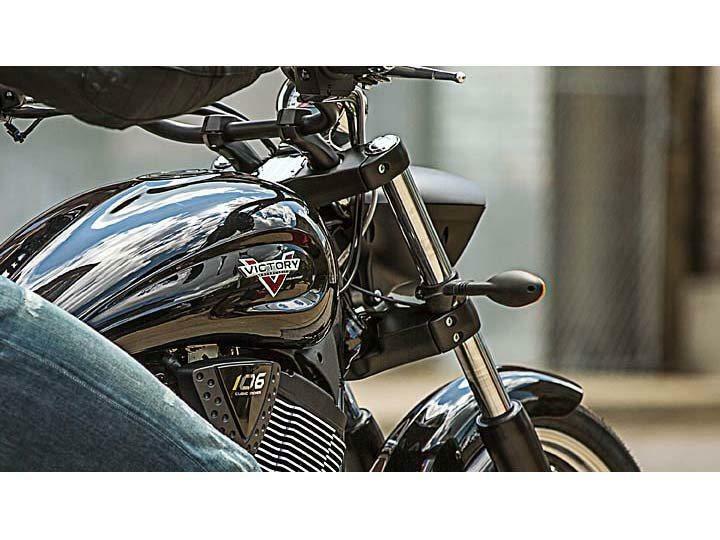 The Victory Vegas 8-Ball® is an outstanding cruiser motorcycle that delivers a great riding experience, tremendous value and styling that could only come from Victory Motorcycles. 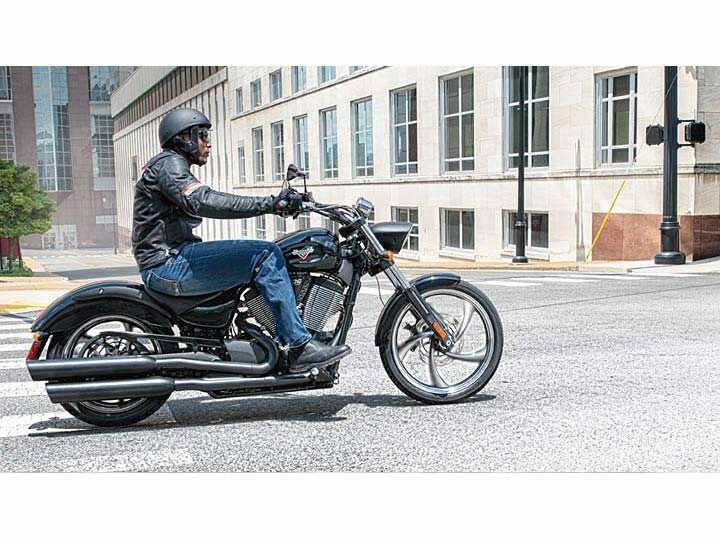 With the outstanding power of the Victory Freedom® 106 / 6 V-Twin, you’ll ride a Vegas 8-Ball with confidence - and with 110 foot pounds of torque on tap. Use the power to enjoy the best cruising, to head out onto the open road, and to manage traffic with passing power to spare. The Vegas 8-Ball struts down the street with a tall, 21 inch custom-look Stingray wheel. 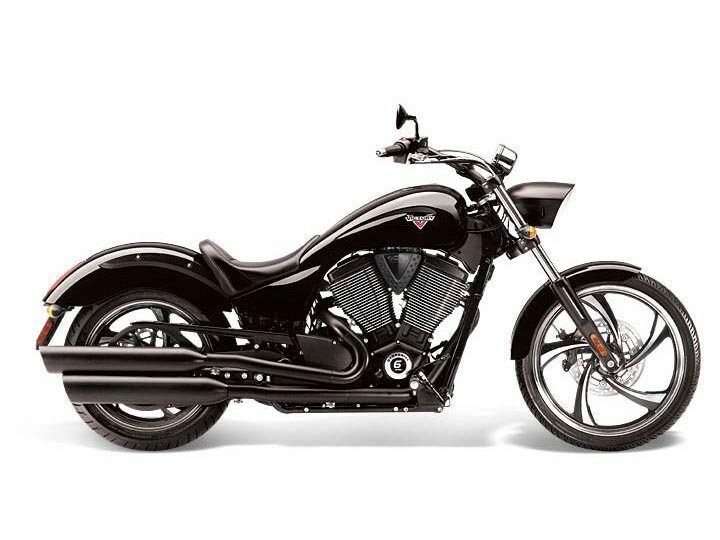 The high-contrast wheels complement the bike’s blacked-out style and add a custom look. They also deliver a smooth ride and easy handling. 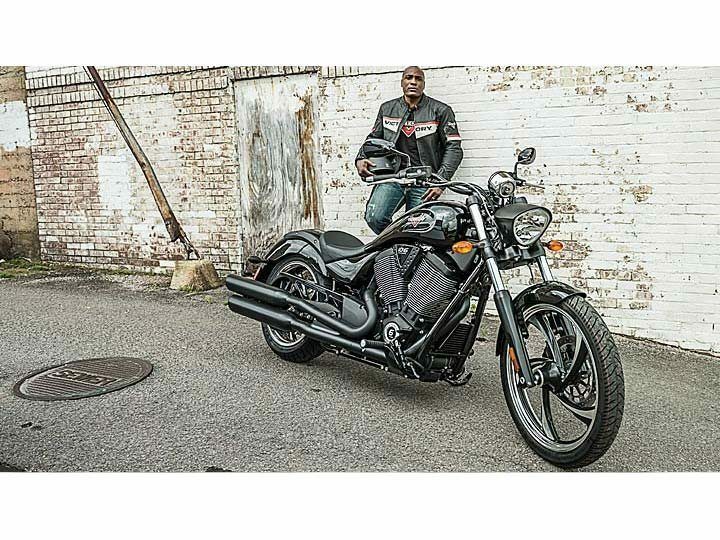 Ride in comfort and in complete control with the low 25.2 inch seat height and pulled-back handlebars of the Vegas 8-Ball. The confidence-inspiring ergonomics provide an easy reach to the controls and let you plant your feet firmly on the ground. 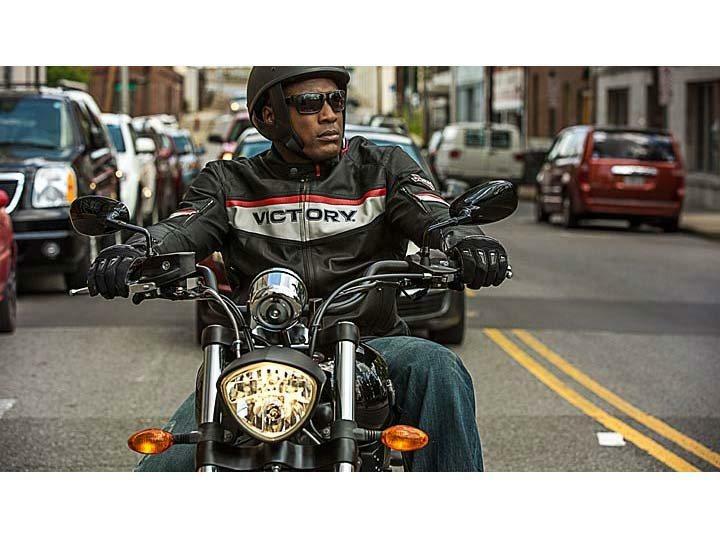 Every gear shift is smooth and defined with the Victory six-speed transmission with true overdrive. Its helical-cut gears ensure that each shift is smooth and sure. For interstate cruising, the sixth gear overdrive drops the rpms and amps up your attitude. The Vegas 8-Ball seat is comfortable and stylish, and it puts the rider in a position of control and confidence. The seat is styled to integrate smoothly with the fuel tank’s split-tail design. 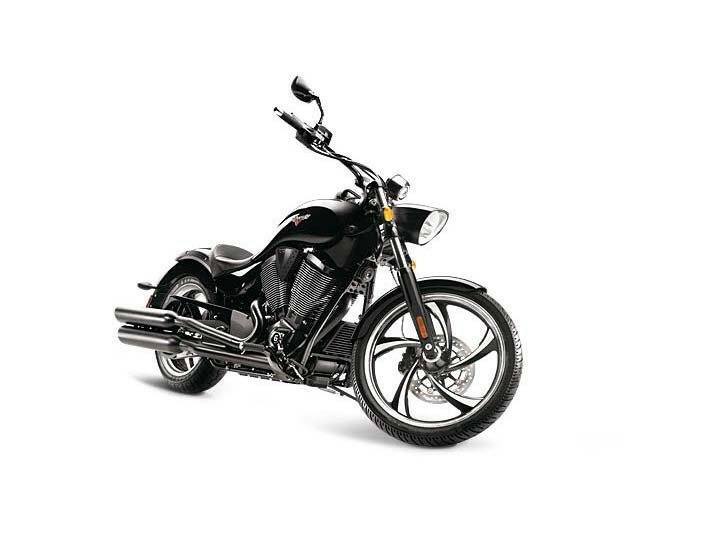 To ride two-up, add your choice of available Victory accessory passenger seats. Front: 21 x 2.15 in.Rear: 18 x 5.5 in.